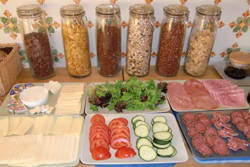 From fresh fruits to different varieties of cereal, our breakfast offers everything necessary for an athelete. As well as warm oven rolls, toast and whole grain bread, there is cake, scrambled eggs and various plates of cheese and sausage selections. Homemade waffles, real Nutella and a selection of jams, honey and various yogurts provide a delicious source of energy boost, and orange and fruit juices as well as strong coffee and tea set you up for the day! In addition to warm baguettes, olives, herb butter and antipasti, we serve salads with hot and cold appetizers, eg soups, focaccia, garlic bread, quiche or guacamole. For the main dishes, expect a variety of local specialties like eg beer chicken piri-piri or pork loin made with red wine port wine sauce from Mediterranean, and other delicious international dishes. After the sumptuous main course follows dessert, such as melons, pancakes, ice cream with caramelized fruits, chocolate mousse, panna cotta or home-baked muffins and cakes. Our dishes are always adapted to the season, so we use only local and fresh produce wherever possible. Once a week we fire up the BBQ. 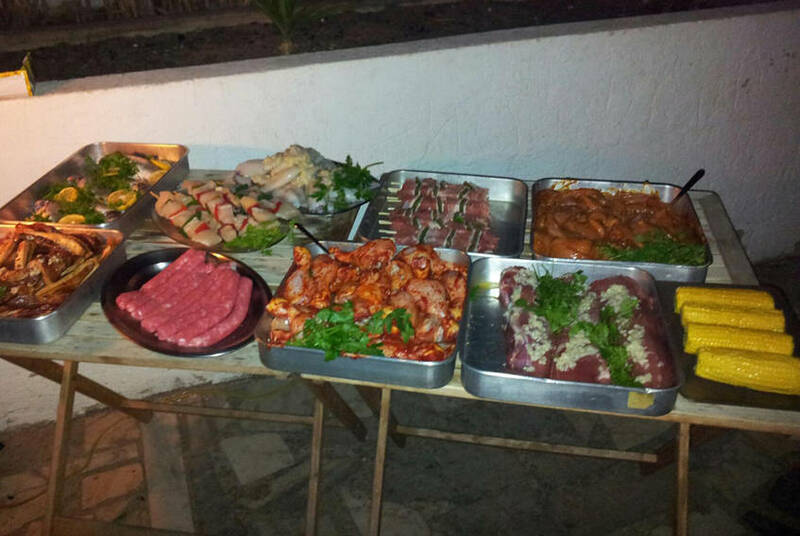 Seafood and meat lovers get their absolute money’s worth from a huge selection. But don’t worry, even vegetable fans are catered for on the grill. Of course, we always take into consideration providing delicious alternatives for guests who don’t eat meat or fish, and likewise for people with specific food allergies. For guests who want to sleep a little longer at the weekend after a long night, or those who got up early for a dawn surf session, we provide a later serving breakfast at the weekends! Once a week we fire up the BBQ. Seafood and meat lovers will love the range on offer, but even for vegetable lovers are catered for. 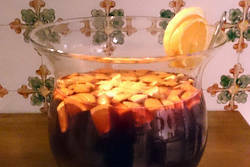 Once a week we host a boozy Sangria evening. After which await the bars of Lagos and Sagres. The waters off southern Portugal offer some of the best fishing in the Atlantic. 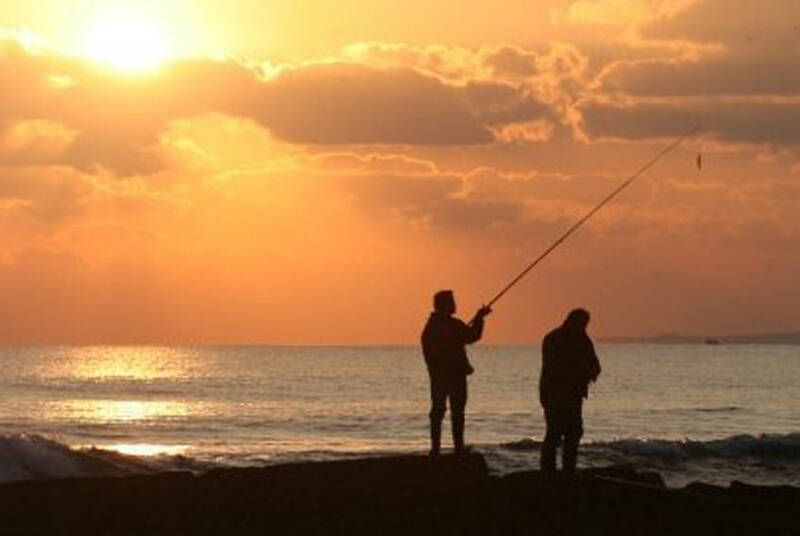 The whole coastline is ideal for those interested in fishing.